Malaysian Goods and Services Tax (GST): How GST Affects You? Goods and Services Tax (GST Malaysia) will be implemented with effective from 1 April 2015 and GST rate is fixed at 6 (%) per cent. Sales tax and service tax will be abolished. Currently, Sales tax and service tax rates are 10% and 6% respectively. GST will not be imposed on piped water and first 200 units of electricity per month for domestic consumers and Transportation services such as bus, train, LRT, taxi, ferry, boat, highway tolls as well as education and health services are exempted from GST. GST means Goods And Services Tax and it is a consumption tax based on the value-added concept. GST Malaysia is imposed on goods and services at every production and distribution stage in the supply chain including importation of goods and services. Q2 Is GST a new consumption tax? GST will replace the present consumption tax comprising the sales tax and the service tax (SST). The difference between GST and the present consumption tax is in terms of its scope of charge which is more comprehensive, inclusive of the manufacturing and distribution stages as well as providing a tax credit claim for GST paid on business inputs. When compared with the present consumption tax system, the sales tax is imposed only at the manufacturing stage that is at the time when the goods are manufactured or when the goods are imported. On the other hand, service tax is imposed on specific services at the time when the services are provided to the consumer. Q3 Why the sales tax and service tax (SST) need to be replaced with GST? GST is a more comprehensive, effective, transparent, and business friendly tax system. GST can overcome the various weaknesses inherent in the present consumption tax system. The inherent weaknesses under the present tax system are the cascading tax, double tax and pyramiding tax, tax erosion and leakages through transfer pricing and other means. Besides that, GST is expected to increase tax compliance and is easier to administer in view of its self policing method. The businesses are required only to submit simplified tax returns based on prescribed formats. All records and documents relating to the relevant transaction are required to be kept in the business premises for audit by the GST auditor. Q4 Why does the government want to implement GST? The GST implementation is part of the government’s tax reform programme to enhance the capability, effectiveness and transparency of tax administration and management. Q5 What is the rate of GST that will be imposed? The Government has fixed the GST rate at 6%. You will pay GST for everything you buy in GST year. The purpose of the government in proposing the GST at a lower rate is to neutralize GST impact on the rakyat and consumers so as not to unduly burden the rakyat especially the lower income group. By imposing GST at a lower rate, it is expected that the consumers will benefit from the price reduction in most of the goods and services. Q7 Is it true that those earning below RM4,000 per month who are not liable to pay income tax will now have to pay tax under GST? This perception is not correct as the scope of charge for both types of tax is vastly different. The scope of charge for income tax is based on income received by an individual whilst the imposition of GST is based on the consumption of goods and services. Presently, those not liable to income tax still pay sales tax and service tax on goods and services that they consume. The issue is, most consumers are not aware that the tax element has been embedded in the price of goods and services sold by the retailers. As a matter of fact, the imposition of GST will not make any difference to the tax burden of those earning below RM3,000 monthly as they would have paid tax on the consumption of those goods and services. Q8 When will the government implement GST? Q9 How does GST work? GST is charged and collected on all taxable goods and services produced in the country including imports. GST collected on output must be remitted to the government. i. GST collected on output (output tax) is deducted against the GST paid on input (Input Tax Credit). ii. If there is excess, the amount shall be remitted to the government within the stipulated period. iii. If there is deficit, businesses can claim for refund from the government. Input tax is the GST charged on the purchase of goods and services used in the business activity. Output tax on the other hand, is GST charged and collected on sales/supplies of goods and services. Input tax credit means tax input claimable by businesses registered under GST. Q11 What are standard rated, zero rated and exempt supplies? Standard rated supplies are taxable supplies of goods and services which are subject to the standard rate of 6%. Zero-rated supplies are taxable supplies which are subject to a zero rate, that is not liable to GST at the output or input stage. Exempt supplies are non taxable supplies which are not subject to GST at the output stage that is, when supplied to the consumer. However, the GST paid on input by the businesses cannot be claimed as tax credit. Q12 Who will collect GST and remit to the government? GST can only be collected by persons who are registered under GST and the tax shall be remitted to the government within the stipulated period. Q13 How will the government ensure that the business will remit the right amount of tax collected to the government? To ensure that businesses remit the right amount of tax, the government will conduct an early detection program through desk audit and transaction audit on the tax returns submitted by businesses for every taxable period. The GST audit team will conduct field audit on records and accounts of businesses to ensure there is no tax manipulation by businesses. Besides that, the GST risk assessment system, a computerized checking system, will trigger alerts relating to high risk cases. Q14 Will the GST rate be increased in the near future like what has been done by the Singapore government? The main objective of the government is to ensure the smooth and efficient implementation of the GST. The government has no plans to increase the GST rate like what has been done by the Singapore government. The government is concerned and always take into consideration the interest and welfare of the rakyat before making any policy changes. It is important to note that even though the sales tax was implemented since 1972, the rate has been increased only once in 1983, whilst the rate of service tax has never been increased since its introduction in 1975. Q15 Are all goods and services subject to GST? In principle, GST is imposed on all goods and services produced in the country including imports. Such exemption is to ensure that the lower income group is not burdened by GST. Q16 Will GST lead to inflation? The Ministry of Finance has conducted price impact studies to see the effect of GST implementation on 729 types of consumer goods and services from 95 industries. Q17 What benefits do businesses get from GST? In principle, the GST is not a cost to business as the GST paid on the business inputs can be claimed as tax credit. As such, it is estimated that the cost of doing business will decrease by an amount of RM4.3 billion inclusive of a saving of RM1.4 billion by exporters on their business inputs. The reduction in the business costs will make the local products and services more competitive in the domestic and international markets. In addition, the GST is expected to improve tax compliance and is easier to administer due to its self-policing feature. With GST, bureaucracy in the government’s delivery system will be significantly reduced. Q18 What benefits will the rakyat get? Based on a GST rate of 6%, it is expected that there will be a price reduction between 0.08% to 2.71% in respect of eight components of goods and services. With this price reduction, the rakyat will benefit from the cheaper goods and services such as clothing and footwear, basic food, communication, furnishings, hardware and maintenance, transport, housing, water, electricity, gas and fuel. The tax burden borne by the rakyat and consumers is expected to be lower compared with that under the present tax system. This is due to the reason that various basic needs such as rice, sugar, flour, cooking oil, vegetables, fish, meat, eggs, and essential services such as public transport, private education and health, residential properties and agricultural land are not subject to GST. Q19 Do all businesses need to be registered under GST? Businesses having an annual sales turnover of less than this amount are not liable to be registered under the GST. Q20 Why is the threshold fixed at RM500, 000? The annual threshold is fixed at RM500,000 to ensure that the small businesses are GST-free and are not required to bear the costs of registration (start-up cost and compliance cost) under the GST. Based on studies, it is estimated that about 78% of the total business establishments will not fall within the GST system. As such the consumers has the choice of making their purchases of basic needs from the businesses which do not charge the GST. Indirectly, the consumers especially the rakyat residing in the rural areas will not be burdened by the GST. Q21 How to determine whether the threshold of RM500,000 has been reached? Method 1 – Calculation based on the sales records for the preceding 12 months. Method 2 – Calculation based on the estimated sales for the next 12 months. Q22 If the threshold has not reached RM500,000, is it possible to register for GST? Businesses which have not reached the threshold can voluntarily apply to be registered under the GST. However, once registered, the businesses must remain in the system for at least 2 years. Q23 Can registration be done online? The government encourages online GST registration. However, manual registration is also available. Q24 How to apply for GST registration? Online application can be made by accessing the form from the GST website. For manual application, the application form can be obtained from any Customs Office or downloaded from the GST website. Q25 Where and when application for GST registration can be made? Customs Office is open to accept GST registration from 1 June 2014. Businesses which have reached the RM500,000 threshold shall apply for registration within 28 days from the end of the month in which the threshold is reached. Applications for manual registration shall be submitted to any nearest Customs Office. Online applications can be submitted direct to the One Stop Processing Centre. Online applications can also be made by using the computer and internet facilities provided at all GST offices nationwide. Q26 Is there a registration charge for GST registration? There is no charge for the GST registration processing. Q27 Are exports of goods and services subject to GST? Exports of goods and services are not subject to GST (subject to tax at zero-rate) to ensure that exports are more competitive in the international market. Q28 Are farmers required to register under the GST? The scope of charge of GST extends to all sectors of the economy including the agricultural activities. As such, farmers are also required to be registered under the GST subject to the threshold that has been stipulated. However, where the agricultural products are goods not subject to GST (zero-rate supply), the farmers can claim GST input tax credits. Q29 Are fishermen required to be registered under the GST? The scope of charge of GST extends to all sectors of the economy including the fisheries activities. As such, fishermen are also required to be registered under the GST subject to the threshold that has been stipulated. However, where the fisheries products are goods not subject to GST (zero-rate supply), the fishermen can also claim GST input tax credits. Q30 How is the government going to control prices? The government will take stern measures to ensure that the businesses do not take advantage of the GST implementation to increase prices of goods to make excessive profits. Measures to be taken by the government include introducing the Anti Profiteering Act, intensifying enforcement action through the National Pricing Council, distribution of Shoppers’ Guide, as well as making the hypermarkets act as price setters. Heavier fines and penalties will be imposed to make sure that the businesses comply with the rules and procedures formulated. These measures are aimed at changing the profit-centred attitude and unethical practices of the businesses. Q31 Are the NGOs subject to GST ? The NGOs will be subject to the GST if they are involved directly in any business activity of making taxable supplies. Q32 Are charities subject to GST? Charitable institutions such as the institutions of disabled persons, orphanages and home for the senior citizens will not be subject to the GST where the services provided are solely for the members of the institutes only and there is no payment in return. Where the activities conducted by the charitable institutions are profit motivated, such institutions shall have to register under the GST. Q33 Is it true that GST will generate an additional revenue of RM 3.0 billion compared with the existing sales tax and service tax? The main aim of the government in introducing the GST is to make the tax system more effective, efficient, transparent and business friendly. Basically, the imposition of the GST at the rate of 6% will not bring about increase in revenue of RM3.0 billion. The increase in revenue will be realized by having an effective and efficient GST system where there is increase in tax compliance and the resurfacing of businesses from the informal sector. Apart from this, the government will also institute various fiscal measures to increase the national revenue. Q34 What are the measures undertaken by the government to assist the SMEs during the GST implementation? The government will ensure that the implementation of the GST will not result in negative impact on the development of SMEs. In its effort to assist the SMEs, the government will conduct comprehensive training and education programmes for all SMEs nationwide. This programme will be conducted jointly by the Ministry of Finance and SME Corp. The government has given RM1,000 grant for GST accounting software packages purchased by SMEs from the approved GST Acounting Software providers. Q35 Will sales tax and service tax still be enforced with the implementation of GST? The implementation of GST will replace the present Sales Tax and Service Tax. As such, both type of taxes will be abolished on the date of the implementation of GST. Q36 What are the measures undertaken by the government to ensure a smooth GST implementation? The government will give the businesses ample time to be ready for GST implementation. GST awareness and education programmes will be conducted on an on-going basis until the GST is implemented. In its effort to disseminate GST information to the general public, the government has set up a Customs call centre which will be operational at Kelana Jaya, Selangor. In addition, various industry guides will be issued as guidance to the industries relating to the GST treatment and procedures pertaining to specific industries. The Customs Department will conduct visits to business premises to provide assistance and advisory services to ensure that businesses fully understand the GST rules and procedure. The government will also ensure that the GST computerization system is fully operational before the GST implementation. The test run for the pilot project relating to the early registration process will be conducted six months before the GST implementation date. Q37 Is the government machinery ready to implement GST? The government is ready to implement GST at any time. Presently the related government machinery such as the Ministry of Finance, the Customs Department, the Ministry of Domestic Trade, Co-operatives and Consumerism has taken steps to prepare the requirements for the GST implementation comprising the legislation, computer system development, logistics and infrastructure preparation, training and publicity including reorganisation. Q38 Who will administer the GST? The government has decided that the Royal Malaysian Customs Department (RMC) manages and administers the GST to be implemented in Malaysia. Q39 What are the measures to be taken by the government to deal with issues of non-compliance and fraud? ii. Comprehensive audit programmes to audit business records and accounts; andEnhancement of the knowledge and expertise of the officers of the Customs Department in specific skills such as accounting, finance and law as well as equipping them with advanced audit techniques and methodology including the usage of forensic accounting and intelligence. iii. Besides this, it is also pertinent to engage in information sharing with other enforcement agencies. With the approaches and methods stated above, it is anticipated that non- compliance and fraud activities will be reduced significantly. Thanks for the info! May i ask if it will affect me as a college student? @William, you will find yourself buying less things with the same amount of money, means all prices will have gone up. Hi, should i charge gst for my rental? I have 3 properties and received less than 5k every month. Thank you. @Albert, since the yearly rental is less than RM60K, you do not need to charge GST. For your information, rental of residential property is an exempt supply. No GST should be accounted on your rental to tenant. Unless you are providing rental on shophouses. Hi. can I know the list of vendors approved for gst implementation by ministry of finance? No, rental of residential property is an exempt supply, therefore, no GST should be accounted in your invoice to tenant. nurul, u may access to the GST portal at https://gst.customs.gov.my/TAP/_/ for the vendors checking. Thanks, Evy, for helping in asnwering. Hi! You can check the list of certified gst consultants at the royal customs malaysia website. For your business to be certified for GST, your business threshold should exceed RM 500,000, accompanied by other criteria. How does government ensure manufacturer do away SST and there’s no triple taxation(plus gst) in passing down to consumers? This Sst and gst might be manipulated by service provider and manufacturer in gaining more profit. What are the measure that government will take to avoid this unscrupulous manipulation n profit taking advantage.? Hi William, there will be no more SST with effective from 1 April 2015. SST will be replaced by GST then. Nothing much can be done by the Government except to carry out on-going investigation and physical visits to the service provider’s or manufacturer’s offices to make sure they have complied with the necessary requirements. I am a sole proprietor by having trading business with annual income more than RM500,000. In the same time I have rent out my property, is it the rental is entitle to charge GST? Yes, Grace, since sole proprietor is under your name, all services including rental of your own properties are all subject to gst. Even if you want to sale your personal car to a friend or a second hand dealer, you will need to charge gst and remit gst to Customs Department. Unless you operate your business under sdn bhd, of which sdn bhd will be separate entity, all sales under sdn bhd will not be counted as your personal business. Hi, I am a housewife and collect RM190,200 in rental annually. Am I exempted from GST? Hi Brehma, you need to differentiate whether your properties are residential or commercial. And also whether you exceed the RM500,000 threshold or not. By looking at your case, you do not need to charge. Do Medical GP clinics need to register under GST ? RKM, medical services are exempt supply, no need to register. Help me with my assignments. 1-The company plan to hold promotions to improve the sale of its products by giving away goods through a retailer Discuss the GST implication of the products that are given free within the promotional period. 2- When a customers purchased goods in bulk, a certain quantity of goods are given free as an incentive for bulk buying. Discuss the GST implication of the products given free as this incentive. As retailer with less than $500,000 sales a year not able to charge GST do they be need to pay GST to the government on items sell? HV, no gst charged then no gst need to be paid to government. Very likely yes on the rental of the shop, please check with your landlord. If yes, please ask for the tax invoice from your landlord every month. I am having the same concerns as HV, if GST imposed into rental imposed is an avoidable fact, how do we do the claim back considering its an input tax to the business? Similarly to the GST that imposed in the utilities bill (such as electricity, water, indahwater, quickland…etc) those are input taxes? if yes, how to we do the claiming. please advice. appreciated it. Halo, is it the GST will be imposed on any loans? No, loan is exempt supply, so no gst. How to start up the GST-accounting system in the sole proprietor business that managed by old businessman (70 years old)? Isn’t the daily business activities need to operate by using computer at implementation of GST period? Hi Jean, sorry to say that you will need gst accounting software to help you to manage & record your business transactions. Manual records during GST period will kill your business, as it tends to have more errors & mistake as well as penalty. This is true when taking example from other countries practising GST. Unless your yearly turnover not more than RM500,000, then you will not need to apply GST license. 3. Our usual Invoice totalled RM5,200.00 as agreed sum. a) How would my Invoice be for GST ? b) How much GST we need to pay ? c) Any other advice you may have for us ? 1. Am I eligible or necessary to apply? 2. If I cannot apply it, does that mean I cannot claim back the 6% tax suppliers charge to me? This definitely will make me less competitive if compare to those GST registered vendors. 3. During the seminar, they said it is better for me to apply GST license if my customer’s annual income exceeds RM500K. Is this true? 1. You have the option to apply. If you apply, you will be considered voluntary registration, Customs Department will sure approve your application. 2. Yes, if you don’t apply, you will have absorb the GST paid on the purchases or expenses. Are electricity, water & iwk bill subject to gst? Yes, Ricky, all will subject to GST then. Hi Nur, I do not get your question. my business is a sole proprietorship company,with an annual income of less than RM500,000. However, my rental income is more that 60,000 per year(gross) payable to my personal name. if i do not want to be GST registered, and do not wish to charge GST for my rentals, will I be running against the law? Steven, if your rental income are arising from the rental of residential units, then it will not be taken into consideration when determining the yearly sale. So you are not subject to GST. But if it is commercial unit, then you have to sum up both business & rental income. If the total sum exceed RM500,000, then you need to register with Customs Department. If you fail to register & fail to charge GST if you are required to do so, then you will have a very huge penalties waiting for you. Personal advice, never try to avoid it. We are online service provider company. Do we charge GST to overseas clients also when we are raising the invoices. Hi Pal, exports are not subject to GST as it is out of scope supply. The company rent an apartment for the director (register under form 49 but not a shareholder). Is this consider as deem supply and the company shall pay 6% output tax? These is a Sdn Bhd company which carry on business with more than RM500k annual income. At the same time we received commercial rental income. Are the rental income need to charge GST? If yes, when should I charge since the agreement date is expired on 30th September 2015. GST need to charge on 01.04.2015 or 01.10.2015? Hi Lim, yes, you need to charge GST on the rental income received from the tenants from 1.4.2015 onwards. You have to read carefully your tenancy agreement if the GST has been mentioned and check the date of your tenancy agreement. Both will determine who will bear the GST. May I know how would it affect if I going to do home renovation, buying furniture and electrical appliance before or after the gst implementation? Hi Nancy, if you can, do it before GST. All prices will either increase or will subject to 6% gst. Either way you need to pay more. If rental property is a residential,it is a exempt supply and therefore no gst is chargeable. As regards personal car, disposal of non-business asset not in the course or furtherance of business and on which input tax credit has not been claimed, is not a taxable supply and thus no gst is chargeable. If I sold a commercial property after 1/4/2015, is the value subject to GST? If yes, who bear the GST cost and who is liable to pay GST to Custom Department? Can i know what is that any relationship between GST and Organic waste chemical? Hi Nurul, technically, yes or no. I am sole proprietor gst registered. I sell my car or property after 1/4/2015 which i bought before gst implementation. Do i need to charge gst? Yes, Leong, you will need to charge GST on your car. It does not matter when you bought it, it is when you sell it. 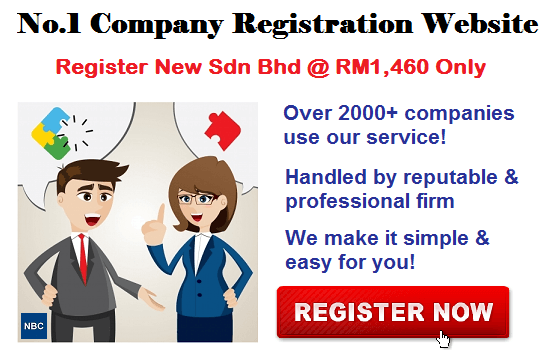 Does foreign companies which provides services to a company in malaysia required to register for gst? Assume there are 2 types. One with PE in malaysia and one with no PE. No, Ahmad, they do not charge GST since they are not registered or operating in Malaysia. The company in Malaysia which receiving the service need to account for GST. IF a company used as intermediary to obtain loan then distribute it to another company for working capital. How does the GST affect the interest receipt from debtor of intermediary company? Whereby the interest received would be paid to creditor by intermediary company for loan obtain for debtor company. Mean in the end the intermediary company has no income earned as both offset. In this case, could GST apply on the intermediary company? Loans or money arrangement are not goods or services, so the principal or interest are not subject to GST. Hi, may i check since the GST will be introduced in Apr 2015, is it for me to increase my rental of my property to my tenant accordingly to align towards the similar direction that the government is going? Please advise. Hi! Is there any list of GST Registered Companies at the royal customs malaysia website. Hi Kasturi, You will not able to check the whole list, but you can verify whether a company has registered with GST by checking its GST registration number stated in its tax invoice with Customs Official Website. But this service can only be provided after the GST system is running next year. Understanding after 5 years, there will be tax free) do we still need to pay for GST? Thanks. Hi Hong, I am not sure on your statement where tax free after 5 years, I believe it would be real property gains tax. RPGT is charged based on profits from the sale of disposal and it is nothing to do with GST. Furthermore, disposal of land falls under Exempt Supply, so no gst. We are a trading company doing import, export and local market as well. For import, do we need to pay for GST? For example if you import the plastic products, you need to pay for the custom tax currently, after April 2015, what’s the tax will be imposed? Yes, Ng, all imports are subject to GST. You will need to pay GST on top of custom duty paid. Custom Duty will remain after 2015. I am foreign worker in Malaysia. 1) My income tax will be impacted by GST? 2) If GST causes the price hike, will the value of RM be weaker against US $ ? Hi Rajib, first, your income tax will have nothing to do with GST, so no impact. But income tax rates have been lower to accommodate the introduction of GST system. Sure, the value of RM will be weakened if inflation happens. I’m a Malaysia Registered Shipper, do i need to charge GST if appointed by a Foreign Company to transport the goods within Malaysia? and how about if a Malaysia registered Company appointed a Foreign Shipper to transport the goods within Malaysia? do the Malaysia registered Company need to calculate the GST to Custom? Thanks and appreciate your reply. Yes, Chris, you perform your “transport service” within Malaysia, or either way as long as the services have been performed within Malaysia, then it is taxable service. But if your total yearly sales are less than RM500,000, then you do not to register with Customs for GST license and then not to charge GST for your service. Dear Angelina, Thanks for your kindly replied..how about if i am a manufacturer, i have appointed a foreign shipper to transport my products within Malaysia, there is no GST charge by Foreign Shipper but do i need to calculate GST for the transport fee charged to me and submit to Custom? Yes, Chris, you need to account for GST on the imported services. However, you just need to account for it in the GST Return as you are going to claim back the credit at the same return. if business threshold do not exceed RM500,000 then it has no right to charge GST, that’s mean when people buy the goods under its business is no GST charging? Yes, the shop/company will not charge GST to its customers, but at the same time the shop/company will not be able to claim back the GST that paid to its suppliers. For example, gst from electricity, telephone, table, materials, equipment. As such the shop/company will have to absorb all gst that paid to its suppliers and these gst paid will be become part of the costs. Think about it, will the shop/company absorb these gst but not increase the price? Very unlikely! Sure they will increase their selling price since costs already increased! Q1 am i going to charge 6% on every sales? Q2 if my customer renovation for their house, is there any exemption for residential renovation? Q3 may i know is there any exempt supply my business line? Q1 – Yes, every sales. Q2 – No, all your customers have to pay GST as they are end users. 1. Does Company A need to charge GST on the disposal of the said land? 2. In this case, does Person B liable to register GST? or individual person not subject to GST registration? 3. If Person B not registered, Can company C claim any GST input tax? 4. Is that all kind of lands exempted from GST? (c) to occupy land for or intended for general use. a.low and low medium cost housing held under strata title by the joint management body and management corporation. It is just like you examine my mind! You appear to understand a whole lot concerning this, like you had written the book there or something. I think that you could do with quite a few images drive an automobile the solution residence slightly, but rather than which, it is superb weblog. A great examine. I will certainly be back. I am running private education business. I would like to know although it is exempted from GST, but if the turnover is more than 500k, I have to register under GST account? If I do, it means I can claim back the GST from suppliers like books. Thank you. Hi Yakuza, as education service provider, you do not need to register with Customs & do not need to charge GST on your services to your customers. However, you won’t be able to claim any GST that paid to your suppliers or merchants arising from purchase of books or anything. i am a sole proprietar in private education business, above rm500k revenue a year. my supply is exempt supply. Would i need to charge gst on d disposal of my private property ie condos or car? pls advise. I just want to check whether those imported clothing or branded clothing are imposed woth GST or not? From what I understand from the above FAQs, it stated rakyat will get benefits from clothing and footwears and so forth. Does this mean that the prices for these goods will be reduced since GST is going to replace the sales tax? Hope to see your reply soon. Thanks. it is true that smartphone price also will be increase after the GST?? I’m in the air conditioning services industries with revenue > rm500k per year. We do sell secondhand air conditioner to end consumers. Do I need to charge gst to my customers? It seems secondhand product is exempted from gst. No, selling second hand product is part of your business activities, so you need to charge GST on all products you are selling or services you are providing. My car insurance expires in end of May. If I renew it earlier before 1 April 2015, does it mean I escape the 6% GST for this year? Also, is road tax GST taxable? No, Jonathan, road tax is not subject to GST. Here.. im in trading company. If my supplier had added 6% into the cost of what I buy from them..do I still have to add 6% of my sale price to the consumer? Hi Angelina Ariel, my company had register the GST. My question is, is there any GST tax charges within the same group of company. We call it as internal charges. Employee is hiring thru Malaysia, But all the sales revenue and cost of good sales will be directly go to Singapore. For the staff salary is paid thru Malaysia, but at month end,we will charge back to Singapore.Shall we include the 6% charges to branch in Singapore? I’m a registered gst contractor, my customer ask me to build a retaining wall for thier residential land. Am I need to charge gst? Thank you! Yes, Chea, you charge on whatever you build for your customers. Hi, I’m a pharmacist in charge of procurement and distribution of medicines in one of the government hospitals. Are medicines and drugs are subject to GST? From my shallow understanding it’s not supposed to(since healthcare is exempted from GST) but recently we’ve been getting letters from distributors that price will increase starting from 1st April 2015. Developer build residential houses is supply excempted and cannot claim the tax input credit. So, the tax credit by supplier to be absord by developer. Is it can be treat as a cost or expenses in the business income ? Coz, normally tax input credit is under asset and not expenses. If cannot claim as cost under profit and loss account, so these input tax credit how to show in accounting? Pls advice. Thank you. Hai angelina.. is any apple product subject to gst? If i bought a bag that cost me RM14k from paris during my holiday visit, will my bag being charge on the 6% GST?? 1. How to start prepare GST for your company? 2. How to charge GST to your customers? 3. How to get GST refund from Kastam? 4. How to avoid GST penalty? What is Tax Invoice? How to issue Tax Invoice? What is Input Tax Credit in GST? How to get GST Refund? What are Goods & Services? What is NOT a supply? What is Blocked Input Tax Credit? Who cannot claim Input Tax Credit? What is 6 months rule? What is 21 days rule? The Royal Malaysian Customs will continually update its interpretation, guides & rulings. No one shall act upon any views expressed here without seeking professional advice. Comments from NBC Personnel, Staff, Management or Directors are merely for reference purposes and DO NOT constitute as Ideas, Advices or Suggestions from NBC Professional Group or its personnels, you are advised to engage GST Consultants for all your GST Matters.